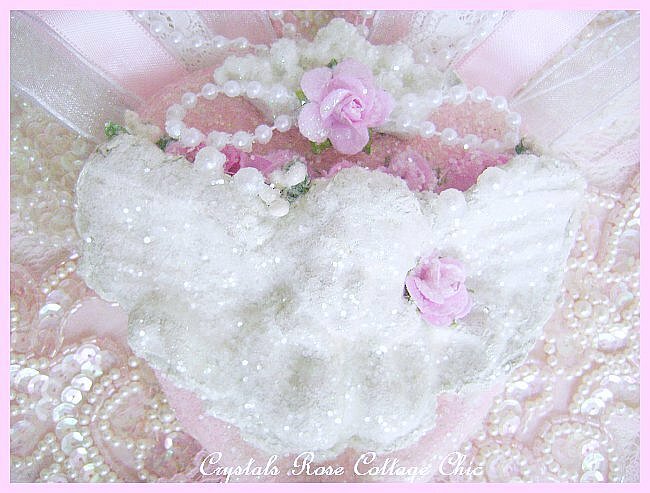 This one of a kind, romantic piece of decor is completely hand made of paper casts that have been made with a vintage cherub and vintage heart mold. They have been very, generously glittered with crystal glitter frost. 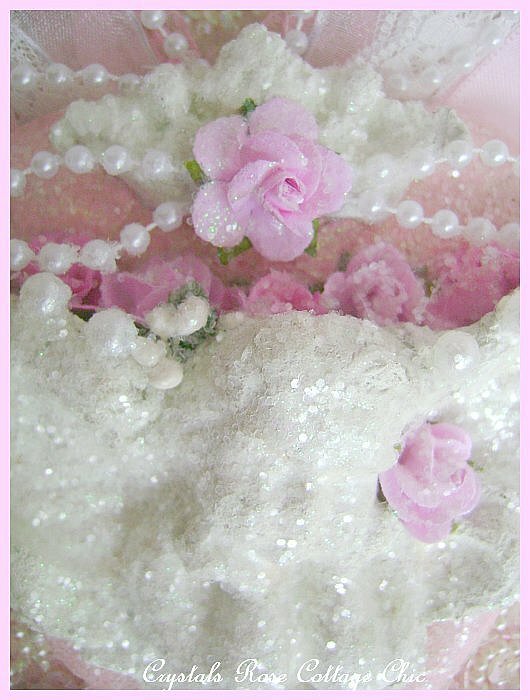 This piece has been lovingly embellished with paper roses, pearls, ribbons, lace and a hand made, clay crown for the crowning touch! 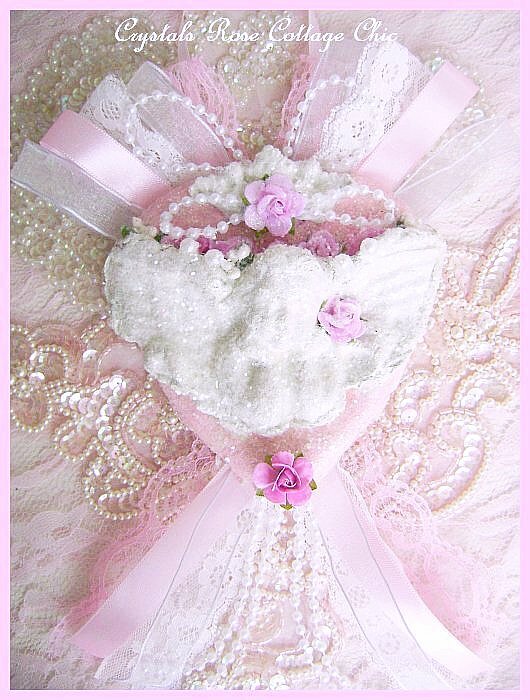 This would also look lovely on a Christmas Tree or to be used as Valentines Day decor or to leave out year round for a Shabby Chic, Victorian Romance look! Signed by artist. Measures:10" x 7".